Triumph launched the Tiger in 1937 with a 4-speed transmission and 20 horsepower; the model was produced until the night of November 14, 1940, when German bombers leveled much of the city of Coventry, England. Triumph’s off-pavement legacy continued in 1964 with the International Six Days Trial, with the first American team to ever compete. That team included Steve McQueen riding a 333cc Triumph, complete with Bell helmet and Barbour jacket. 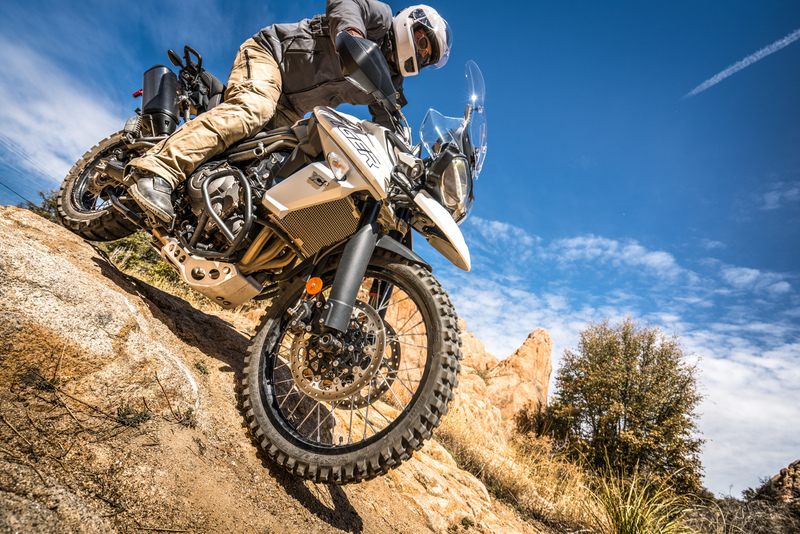 What followed were the dark years of dirt prowess for the company, save for a limited production of the Tiger Trail (1981-82). 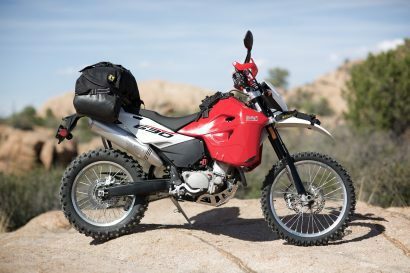 In 2010, this all changed with the 800 XC, which quickly bested all competitors in the class and has now been improved again with the XCA model. 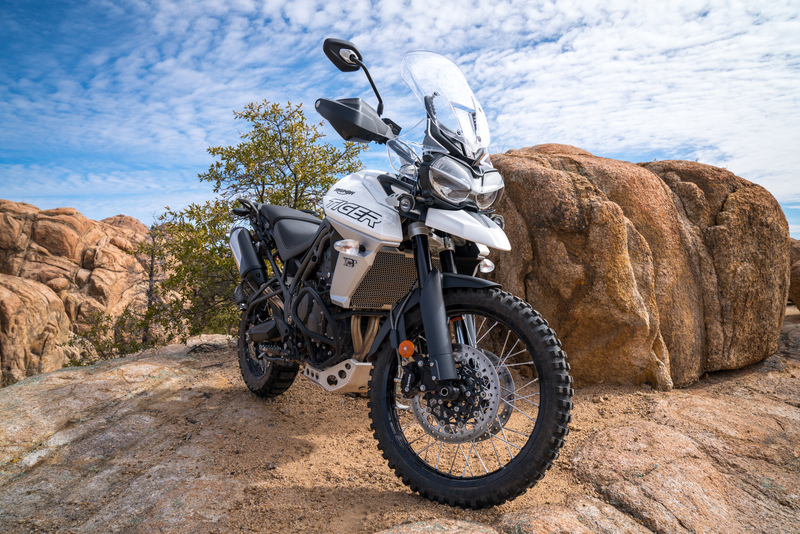 The improvements to the new XCA are broad, touching nearly every critical system of the motorcycle and logging over 200 upgrades from the previous version. Most notable on the road is the lower first gear and better engine responsiveness, addressing one of my concerns with the earlier 800s: limited low-end performance. Power also increased to 95 horsepower while fuel economy improved by 17 percent, achieving a seemingly impossible 77.4 mpg at 56 mph and a range of 387 miles out of the 5-gallon tank—that is GSA territory. 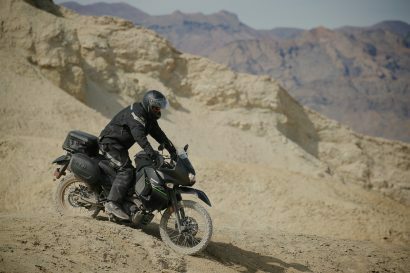 As a travel motorcycle, the 800 is fun to ride, with adequate power and a light, eager feel. 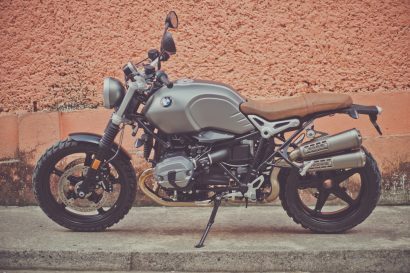 The XCA comes with a 650-watt alternator/stator and optional heated grips and seats (yes, the pillion too). The large windscreen provides broad coverage, and the cruise control allows for welcome relief on those long, straight roads. 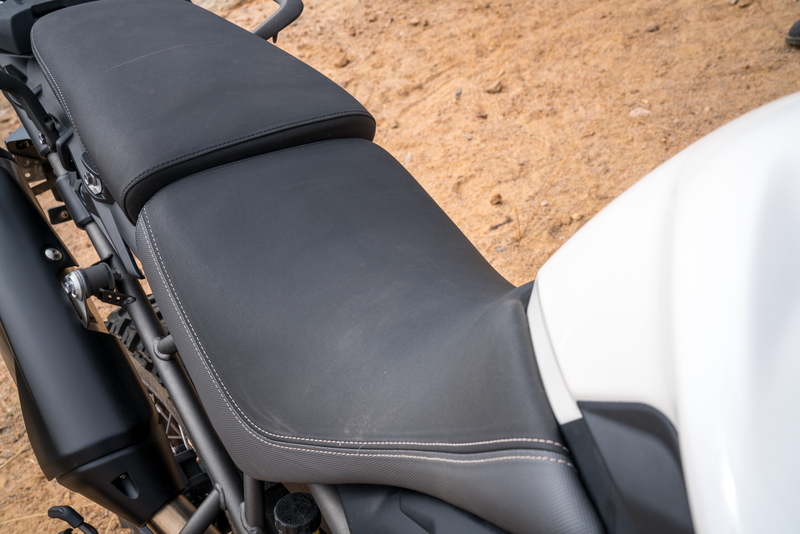 Pillion comfort is reduced when compared with larger ADV options. 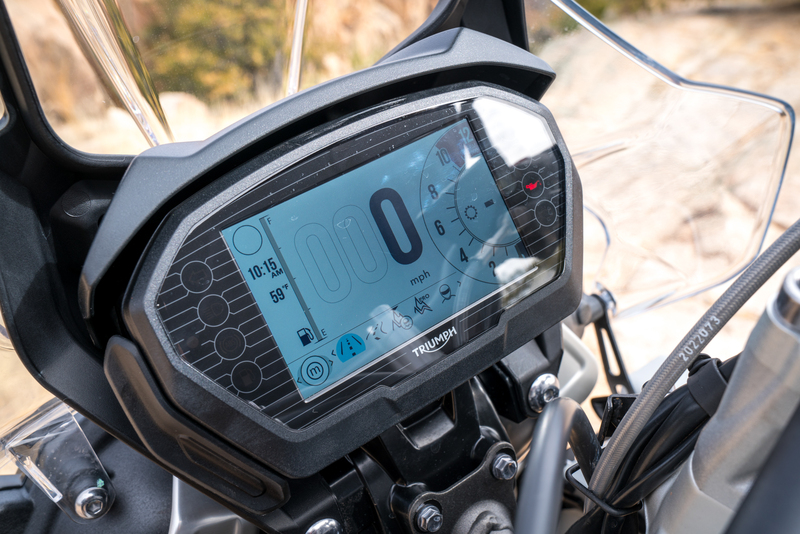 The large TFT screen is a pleasure to view and easy to read. I want a motorcycle that can take me around the globe, and the 800 XCA would make the short list. From the large alternator/stator to the factory skid plate and crash bars to the WP suspension, this model is intentionally designed for bad roads and technical tracks. I pushed the 800 hard on our test course, deliberately taking lines to test the limits of wheel travel and the powertrain. I immediately noticed the improved low-end responsiveness and the lower first gear. 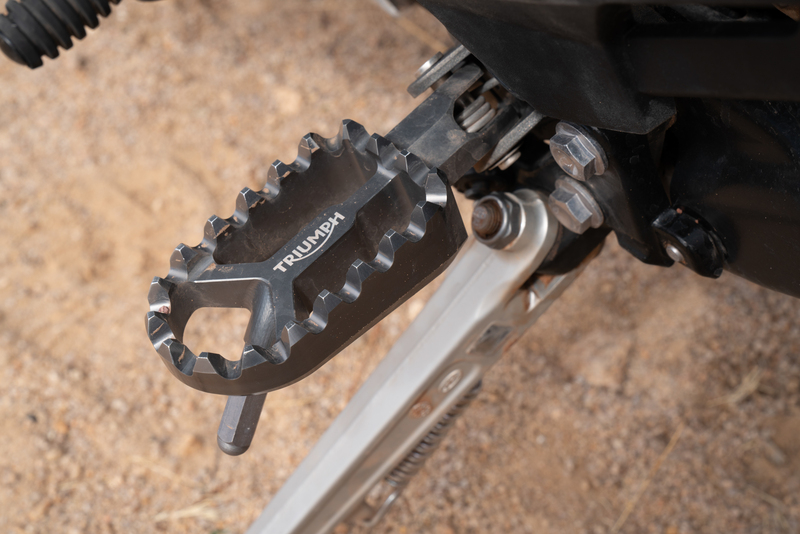 It still requires more RPM and clutch/throttle modulation than others in the segment, but that skill can be quickly learned, and the wet clutch has proven up to the task. The 21-inch front wheel rolls over obstacles like a dirt bike, complemented by the nearly 9 inches of suspension travel. 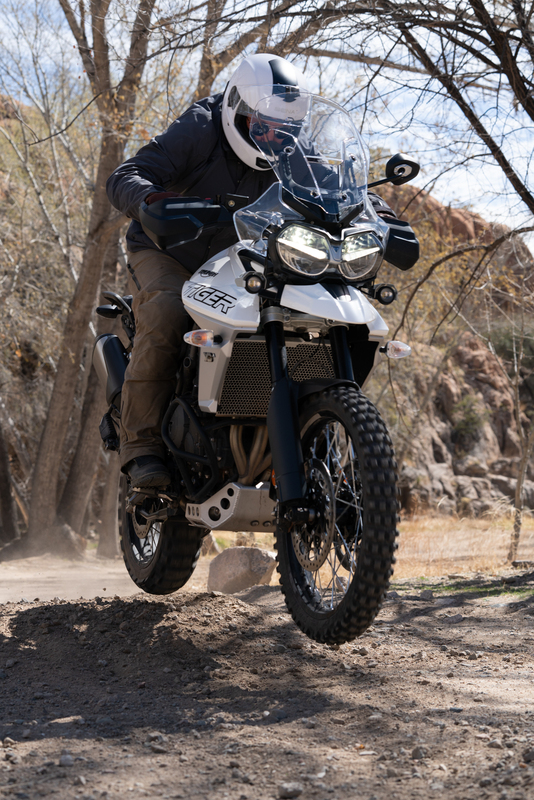 The tuning of this new WP suspension package cannot be understated, providing confidence to the rider on everything from fast, corrugated roads to ruts, rocks, and ledges.